At Pro-Mix, we have been delivering Ready Mix Concrete and Concrete Screed directly to site for over ten years. Based near Chelmsford, Essex, we deliver throughout the county, usually within 24 hours of your enquiry (subject to current workloads). With our state of the art machinery you will only pay for the volume of concrete we pour at the prescribed mix that you request. 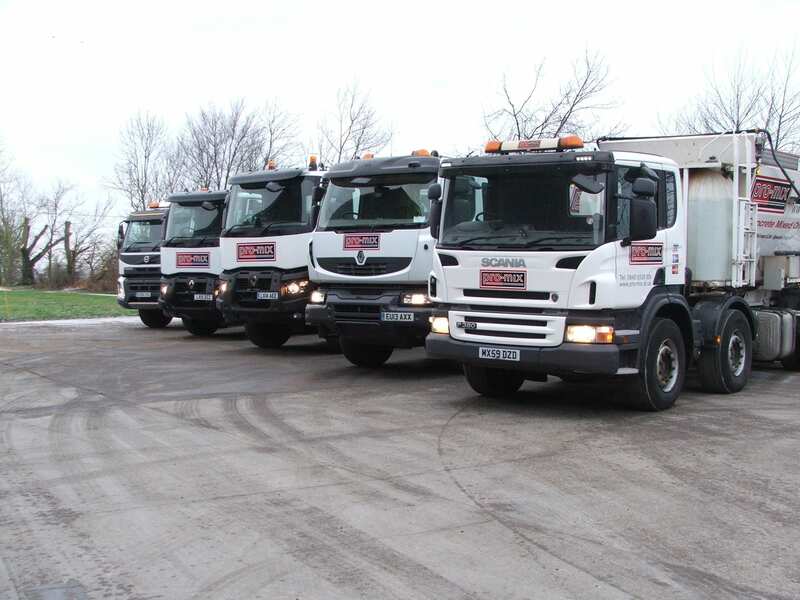 We operate a fleet of vehicles that mix concrete onsite across Essex and are committed to delivering an efficient and reliable service to our customers. We are accredited by The Batched On Site Association who set high standards for operators of Mobile Batching Plants for that extra peace of mind. We use volumetric concrete mixers which are trucks that contain all the ingredients to make concrete (i.e. aggregates, fibres & addatives, cement and water). We then drive to your location and program the the truck to deliver concrete at the prescribed specification. When required, we can pump concrete to hard to reach areas where there is restricted access or even into multi level buildings. All we require is access for our vehicle in close proximity to your site. Please call for more information.